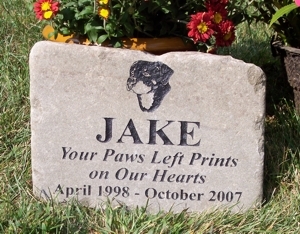 Your baby's Name, Birt and Passing Dates engraved onto a genuine Pennsylvania Bluestone memorial. Also included are 2 lines of the text of your choice. Overall size of your River Rock is 12" to 18".